Bal Bhavan – a landmark for children in Baroda – provides children in the age group of 5 to 16 years (both normal and special) with various activities and opportunities to nurture and enhance their creative potential and physical abilities. 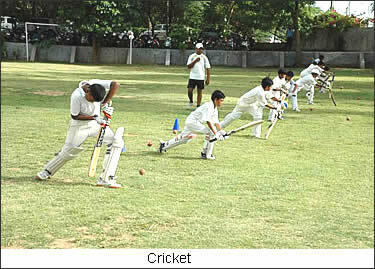 It provides a platform to interact, experiment, create and perform according to their age, aptitude and ability. It offers a barrier-free and stress-free environment with immense possibilities of innovation. We offer a wide range of activities for children, all under one roof, on all days of the week (except Wednesdays). Creative Arts: Drawing, Painting, Mixed Media, Collage, Craft, Claymodelling. Performing Arts: Vocal Music and Bharatnatyam (with Certificate examination from Bruhad Gujarat Sangit Samiti. A children's Orchestra is trained for Navratri. Library: We have lots of books for children in English, Hindi, Gujarati and Marathi. The library also has lending facilities. Innovative Science: Offering hands-on experiences to children with facilities for experiments, model making and exposure to science in daily life. We also have an Astronomy club. 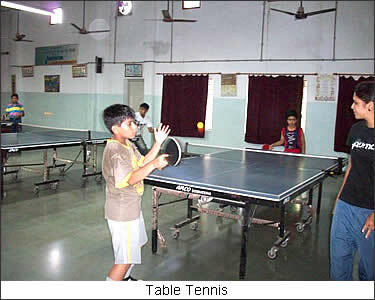 Sports: Regular technical and quality coaching by qualified coaches in Badminton, Table Tennis, Cricket, Athletics, Tennis, Basketball, Skating, Chess, Karate. Welfare Programme: We have a Special Education & Recreation programme for differently abled children (mentally challenged children) on a daily basis. You can provide funds for equipment, services, infrastructure and materials. You can sponsor a mentally challenged child (Rs. 12,000 per year for a special child). 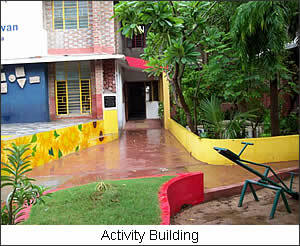 You can sponsor an activity center (Rs. 125,000 per year for an activity center in the donor's name). You can sponsor a sports activity annually. You can donate Rs. 150,000 per year for the annual transportation of 40 differently abled children. All donations to the trust are exempt from Income Tax, as per the provisions of Section 80G(5) of the Income Tax Act 1961. Donations can be sent by cheque or draft in the name of 'BALBHAVAN SOCIETY'. Please send your donations to the address below.